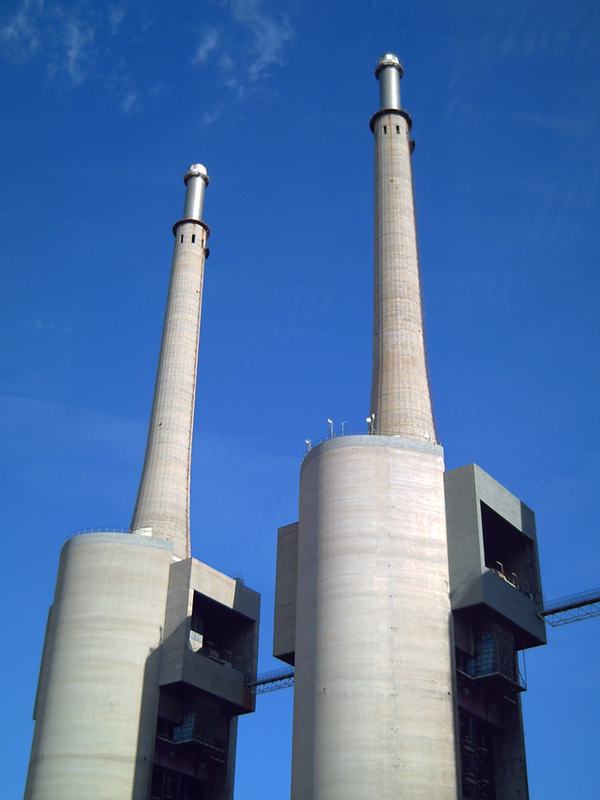 During the first decades of the XXth century, Sant Adria del Besos in Barcelona, was populated with huge industries such as FECSA's thermoelectric plant. 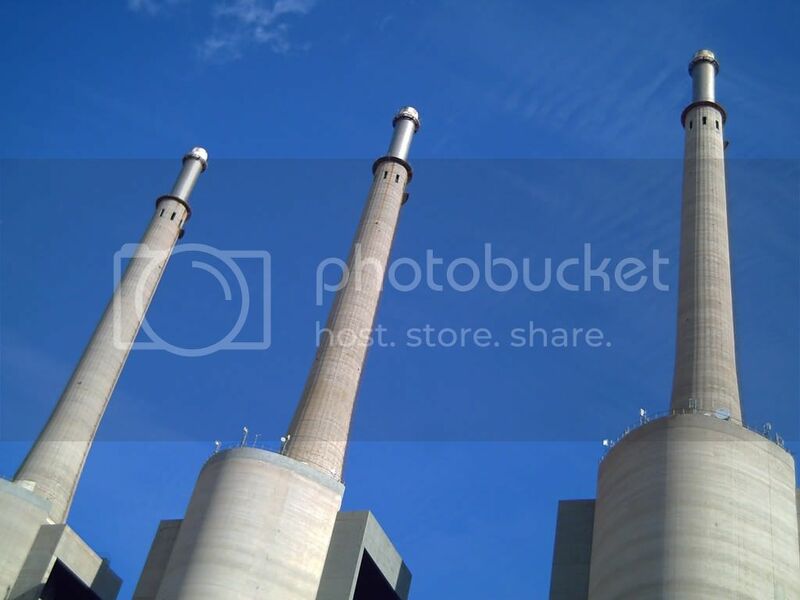 Its remains are known as the Three Chimneys, and they are a sad landmark, part of Barcelona's skyline. Situated on the left bank of river Besos, facing the sea, they witness the fast growing buildings rising next to them, including a marina which is already built and there is a debate on whether to destroy this testimony from the past or to remodel them for sentimental reasons. At present they are in very bad state but make a splendid subject for some industrial pictures. The three Fecsa chimneys can be seen from almost every elevated point in Barcelona and are quite near to the forum on one side or Badalona beaches on the other. Check this other image with only two of them but taller. Maybe they can built an elevator around/in them so people can enjoy the view from above ? I have a photos of the same theme. I have nothing much to say except this: Bloody Good shot Carlos! The slight curving of the chimney is very elegant!